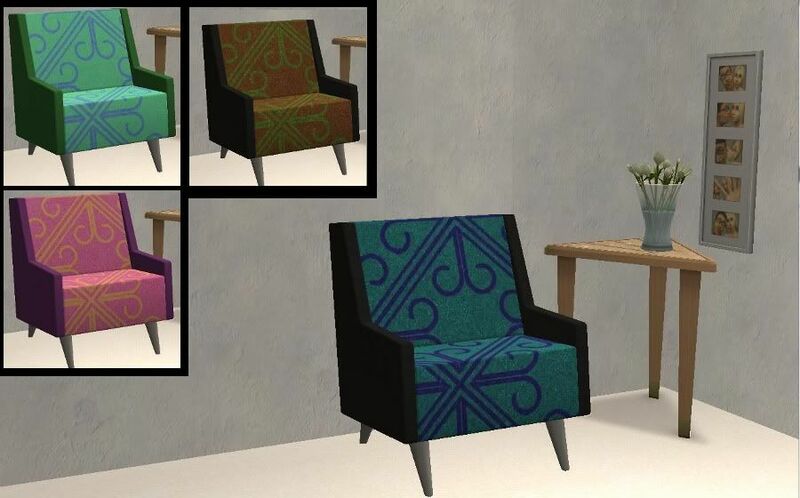 I saw this really cute living chair in tsrw when I was making my bean bag living chair for Sims 3, so I decided to convert it. Included is the chair mesh plus 3 recolors. Enjoy!